Increased profitability can be found in a variety of unexpected places in your business. How can we be more energy-efficient? Here are a few sustainable solutions that you might not have thought about in how we can be more energy efficient and grow the bottom line of the business that you operate. It still surprises me how many businesses in Chicago do not have programmable thermostat in their business. Dropping your heat down in the winter, or raising the temperature in the summer, during non-business hours can lead to dramatic energy savings. Smart thermostats can take you even into deeper savings on high electric bills in the summer and high gas bills in the winter. Computers and their associated equipment have some exciting features these days - low energy usage sleep settings, as well as more energy-efficient screens. When you combine these with a smart power strip, one that cuts the power to accessory items when not in use, you can find a little more profit in your business with a pretty low cost move. 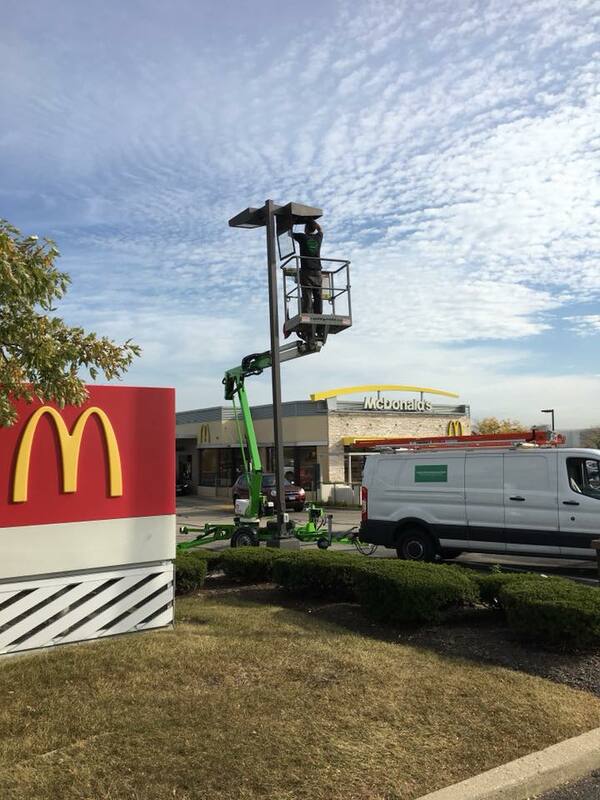 Installing LED lights is a must, both to save energy on the business and labor side. However, one new trick that really takes profitability to the next level are sensors that control both for daylight and occupancy. If there is enough daylight in the room that lights don't need to be on, our latest fixtures will only provide a small amount of additional light, if any. One extra benefit of this is dimmed fixtures will actually create less heat on the LED driver, leading to even longer lasting lifetime usage than planned. Yes, a very low cost item like weatherstripping can really impact your businesses bottom line. Reducing the energy usage in summer and winter not only makes your business more comfortable for your customers, but also saves energy business costs and will lead to increasing profitability. Many of these items are supported in cost through your local utility energy efficiency program. Ask an expert on our save energy solutions team for more information on savings potential, your out of pocket cost, and any associated rebates available to you. Hint Hint - weatherstripping an smart power strips are likely available to you at no cost if your business kW usage is under 100kW. If you operate a business in Illinois and want more information, don't be shy!